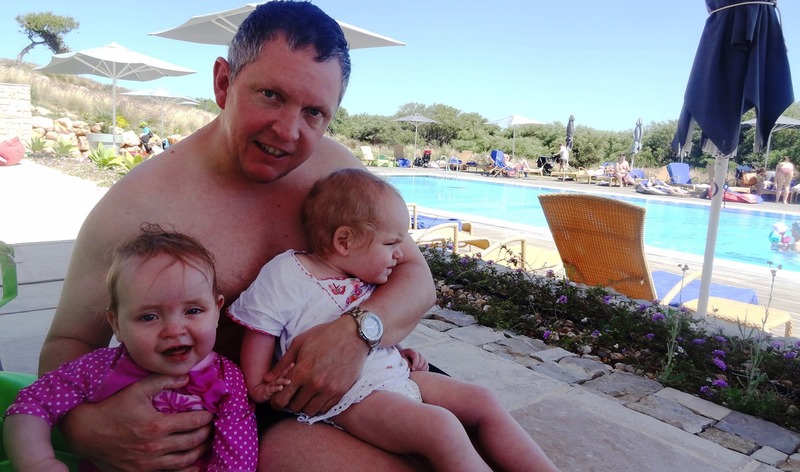 We spent a fortnight in May 2013 in the Martinhal Resort with our 14 month old twins. The short version of this review is that it’s Northcote Road by the sea. And if you are familiar with Northcote Road, then that will tell you everything you need to know to make an informed decision. It’s like Club Med, only posher, quieter and more English (ie no dreaded communal dining and resort songs). There seemed to be an effective ban in place on any footwear other than Birkenstocks and Havianas, and on having a male child who wasn’t called Archie or Angus. We each ran into work colleagues which shows quite how PLU it was, and practically every little girl swimming wore the same JoJo Maman Bebe sunsuit as ours. I remember once at the crèche in the morning a new mother dropping off precious little Leonora (I kid not, I said oo, what a lovely name, she lived with Max Ernst didn’t she, and got A Look) and, after taking one glance at my patently backward twins, turning to the nursery assistant and saying “I’m not sure whether this will be advanced enough for her. 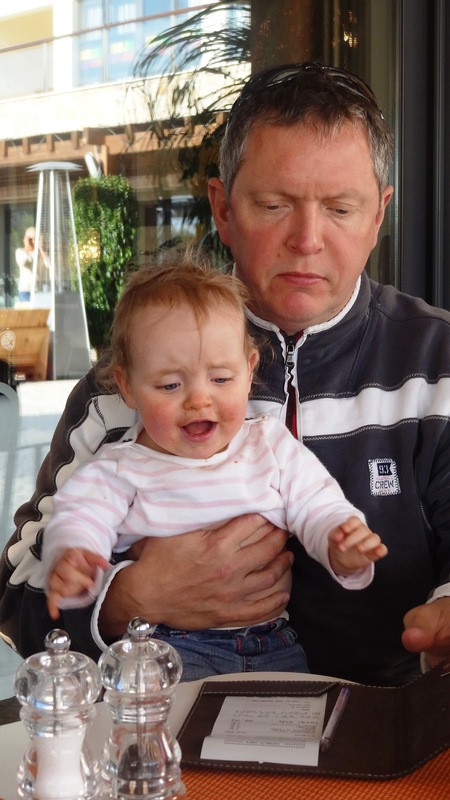 She’s used to playing with much older children.” Noticing that said Leonora was actually quite content bashing away at a toy piano with mine, she then announced “she speaks German too, by the way”. There is a small hotel but most people stay in the resort villas. Two/three bedrooms on the top floor with a bathroom and an en suite, and then an open plan downstairs with a very well equipped kitchen (Tupperware! Hand blenders for baby food! ), large flatscreen TV (that has BBC1! Cartoon Network! Baby TV!) and then opens onto a private patio and section of garden. It was all very comfortable, immaculately finished, and kept spruce by the daily cleaners. 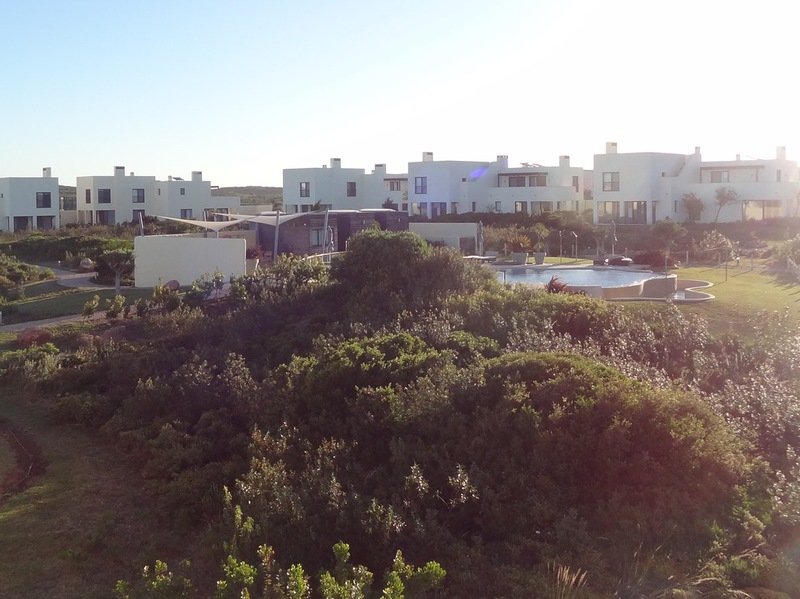 The Garden villas are the closest to the main ‘Village Square’ which is where the main pool is, the kids’ clubs, and the baby-friendliest of the restaurants, so they’re handy without being noisy. They also share an outside pool which I frequented, and never saw anyone there as most people head to one of the others. There are three restaurants. 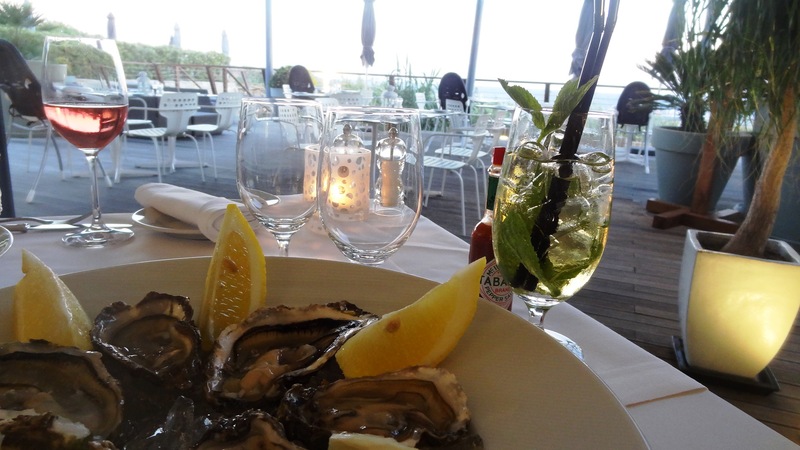 O Terraco, above Reception, and with stunning views of the bay from the al fresco seating, has a comprehensive breakfast buffet, and then becomes the chicest of the resort eateries in the evening, offering contemporary Portugese. I had a gorgeous wild boar loin with truffled potatoes. Gambozinos is in the Square and serves pizza, (very nice, especially the seafood one) risotto and pasta at dinner. We took the girls there every evening once we’d sussed out how things work, as they start serving kids’ tea from 5pm. Babies even have their own menu! There’s also a bar in the square which does smoothies and light snacks, each of the pools (apart from the Garden one, and hence possibly why it’s quiet) has a bar which does the same, and then the shop in the main square sells catering basics as well as wonderful croissants, sandwiches etc. The resort hugs Martinhal beach itself which is wildly beautiful and pretty much deserted when we were there, apart from the occasional kite surfer. I guess, with the resort having its own pools and sandy play areas, people feel little need to come down, particularly as the Atlantic waters are icy, the waves build up during the day, there is no shade (unless you pay 10 Euros per parasol to an independent company) and the wind can whip up (there is a very good reason why surfing championships are staged here and why Henry the Navigator sent his ships out from Sagres!) We braved the mammoth expedition of carting ours down with all their accompanying tonnes of Stuff, only to give up after an hour. But we did have a very nice grown up walk one day along its length. One for older kids I think. 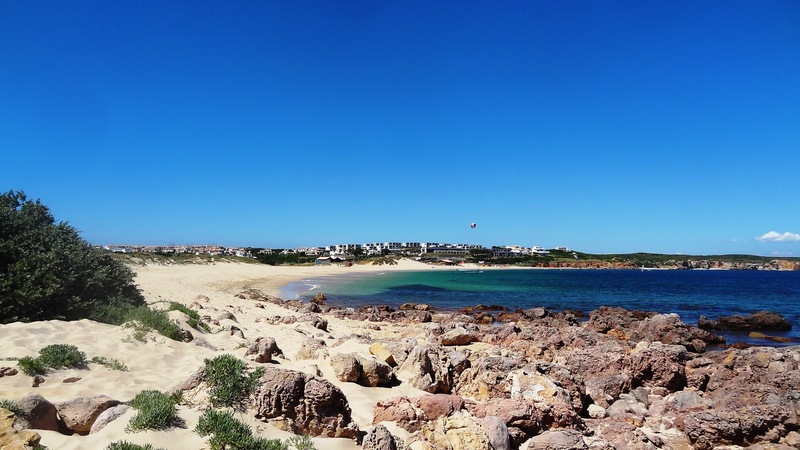 There are a plethora of organised activities – tennis, fitness classes, guided walks through the national park that surrounds the resort, bikes to borrow, kayaking. But, with 14 month old twins I’m afraid we did the square root of nothing. 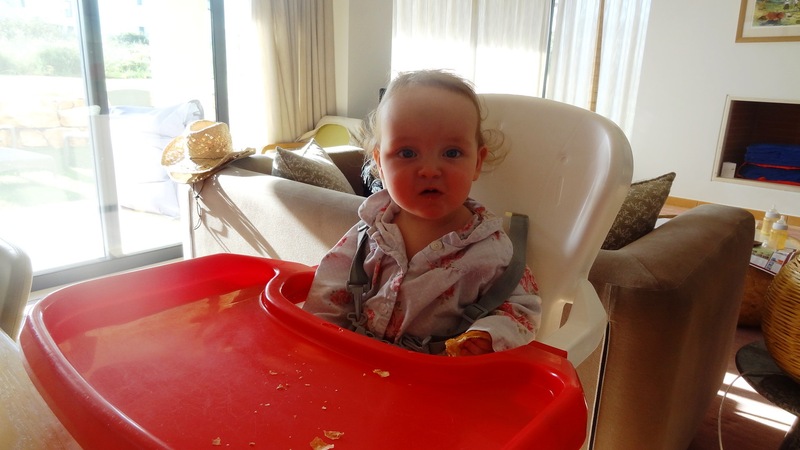 It was just lovely to have a couple of hours off each day while they were in the crèche to do chores or – shock – lie on a lounger with a book. So, the crèche. There are 3 two hour sessions each day for 4 month to 2 year olds. The staff are wonderful. Brilliant English, very patient, and seeming genuinely to love children. They’re happy to feed or sleep the babies if you need them too. They then double up as an in-home babysitting service in the evenings. There are then various age-defined clubs for older kids, who always seemed to be having a rare old time. One of our girls flourished; one didn’t, but that was because she got an awful Norovirus like bug and was laid low for over a week. The resort staff were fantastic: the on site nurse (who does a roaring trade usually in plastering little knees and elbows) came and saw her three times and then made the decision with me to get her to a local clinic, which I was ferried to and from. And for the rest of the stay Romilly became a little celebrity whenever we emerged, with all the waitresses asking how she was and everyone making a big fuss. For me, that was the overwhelming impression of Martinhal. Care. Care taken over the planning of the resort, in particular being so kid-friendly (without veering into some brash Disney-like atmosphere). But also the care from all the staff. The answer to everything was always ‘yes’. So, with that in mind, here follows a series of suggestions for the Martinhal management team. The resort is already very VERY good. But there are some things I think it’s just easier for holidaymakers to spot. More choice on the baby menu. There is one choice of puree per age group. It’s great they have it, but kids shouldn’t have the same food for 14 nights! The actual kids’ menu is very good though. The villas’ ground floors are surprisingly unfriendly for crawling babies. Tiled floors, a thin and rough rug, trailing wires, a baby height TV…can you have a thick rug and wall mount the TV? What’s the score with the beach? I assume the lounger folk are not related to the hotel given they ask 10 Euros for a lounger. In which case a) make it clear to your guests that they’re nothing to do with the resort and b) have some Martinhal shade for kids. Same goes for the beach restaurant; warn guests. Have instructions in the villa for how to use the microwave/oven/hob/Nespresso/washer drier. Again, given how kid friendly the resort is…there are cobbles everywhere! Really hard to push the kids everywhere. It’s aesthetically pleasing, but really hard for parents. Likewise getting down to the beach with a buggy: a very long ramp and then steps. Rafi appearing for 5 minutes at breakfast downstairs ruins any breakfast/crèche timing. Why can’t he visit the restaurant and visit tables? Adult activities start before the kids go into the crèche. I was unable to do any of the walks/kayak tours etc because they all started at 0930 or 1530 which was when I was putting the girls in. There are lots of free older kids play areas. Could you make a soft play area for babies? 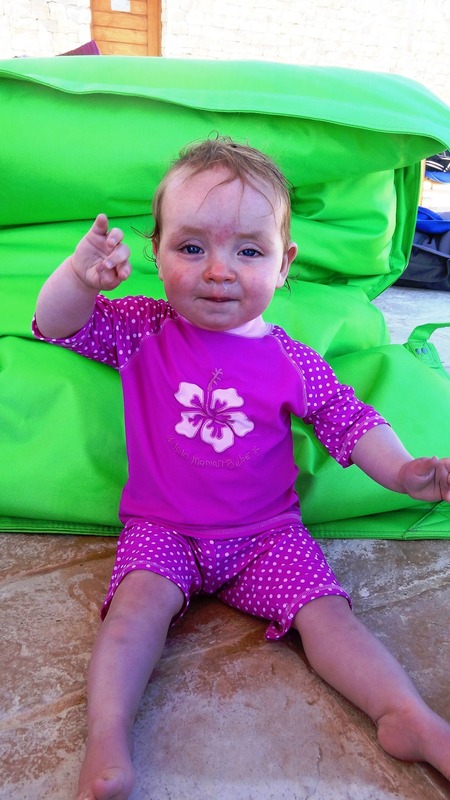 The baby pool by Dunas is really exposed – could you shade and heat it? Your eco philosophy is admirable; watering the gardens each night with what I imagine was ‘grey water’ less so. We were unable to sit out at night due to the smell. The gardens are lovely; exposed irrigation pipes are dangerous – very easy for kids to trip over. 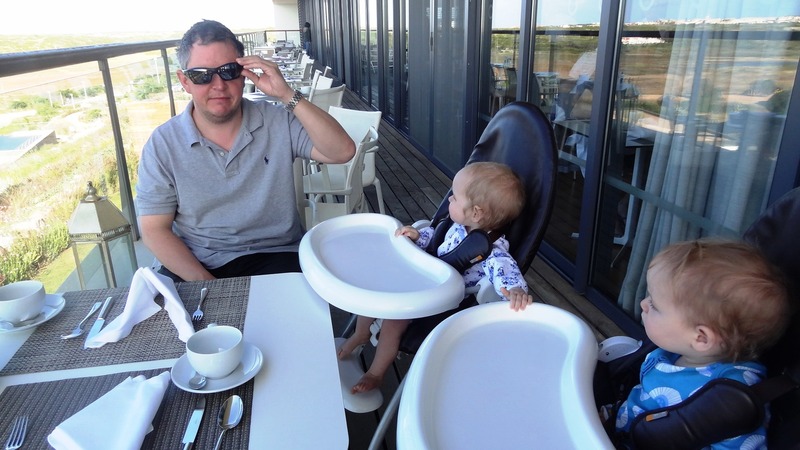 Given the entire resort has breakfast at Terraco, why are there never enough high chairs? 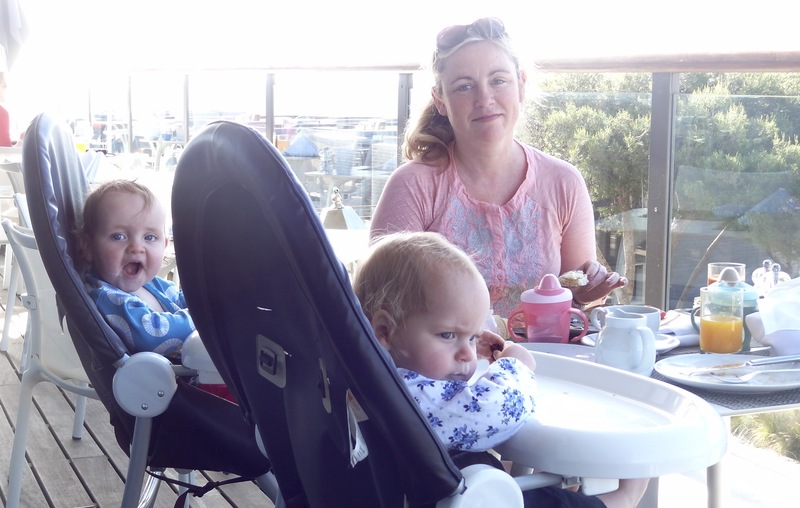 Given the money we were paying I don’t expect to have to hold two toddlers for half an hour whilst waiting for chairs and then having to gulp breakfast down so we could get to the crèche in time. Shouldn’t all the chairs be brought there from the other restaurants and then returned afterwards? Could there be a DVD player in the villas and maybe DVDs to hire? Or a way of plugging in laptops so you can play English videos to the kids? The TV has kids’ channels but they’re all in Portugese. Not that you go on holiday to sit your kids in front of the telly all day but it would be handy for them to have a distraction while you’re eg making lunch. But these are really very minor and I think eminently fixable gripes. I really mean it about this now being our default holiday choice. Search around for discounts (Mumsnet offers a 100 euro credit per room) and also haggle with Reservations. We got 10% off, plus free double cot hire. Don’t even think about taking high heels. If you do manage to slip out of an evening, there are cobbles and hills everywhere in the resort. And no point taking anything slippy and strappy for the evening. The temperature really plummets by dusk, and the wind whips up, to such an extent the restaurants provide blankets for chilly clients. 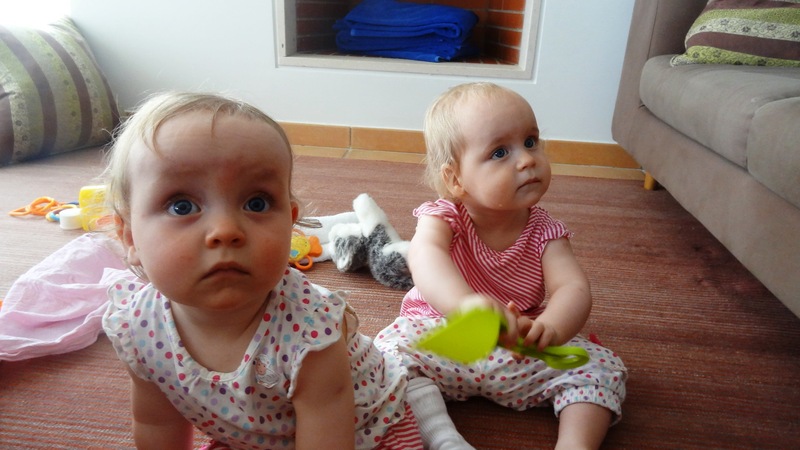 Book all your crèche sessions in advance as it fills up; you can always cancel. The restaurant and loungers on the beach aren’t part of the hotel and need to be paid for separately. Other than that, there is no reason to carry cash with you as everything, including the shop, can be added to your room bill. On which note, the shop is good for emergency purposes but VERY expensive, especially for kids’ stuff eg Organix snacks at 8 times the UK price. Send one of your party off on the twice daily shuttle bus to Sagres, which takes 10 minutes, and they can stock up at the Intermarche. The half board deal is good value for money given the prices in the restaurants (20E for a starter, up to 40E for a main). If you fill up at breakfast, then we could usually push on through with just a bit of bread and cheese at lunch in the villa and save the half board for the evening. Your kids don’t need to eat at the same time as you or even in the same restaurant for you all to qualify for half board. Oh, and make sure you say you’re using your half board before ordering. Rafi is the resort’s mascot fox, and appears at 0855 in the hotel reception downstairs for breakfast. The kids seem to love him. But he’s only there for 5 minutes. Saddoes that we are, we’d got this down to a military operation by the end ie all arriving two minutes before, one parent staying with the kids, and one going upstairs to the restaurant to get highchairs and a table sorted and the kids’ food, which could often take some time. 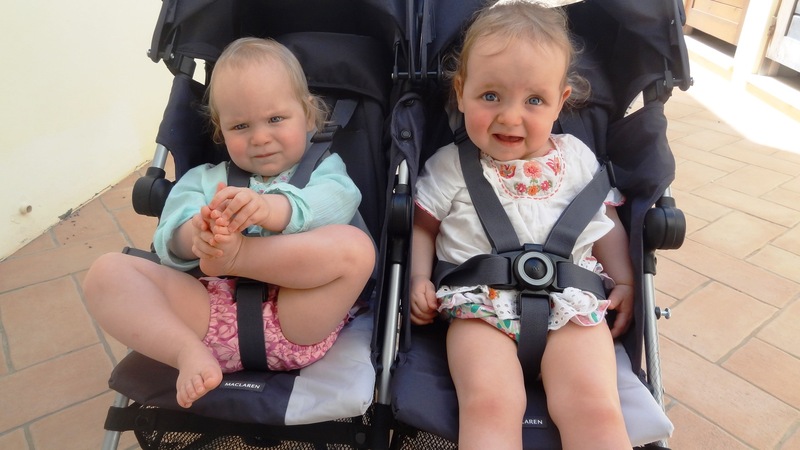 If you have twins, and a very big buggy, think about getting another narrower and lighter one for the holiday. We normally use a 360 Nipper and we saw one poor family struggling as it wouldn’t fit through any doors. Our McClaren Twin Techno worked a treat, and is much lighter for the plane journey too. Gambozinos, the Italian family restaurant, gets jammed at children’s tea time, so book. In fact, we booked the entire fortnight as it was so easy. See above re the Garden Houses being the best choice for families. On which note, don’t even THINK about going unless you’re a family. We saw two childless couples walking around looking a little bit shellshocked. It would be like having a honeymoon in the Ikea ballpit. Get a list in advance from the Baby Concierge about what equipment you can book. Bring some dishwasher and laundry tablets (very expensive in the shop and you don’t really want to buy a whole tub from the supermarket). And maybe some dried herbs (salt, pepper, olive oil, washing up liquid, toiletries and sewing kit all provided). Also kid’s first aid and medicines. The shop isn’t licensed to sell them. But above all, just go. It’s expensive. 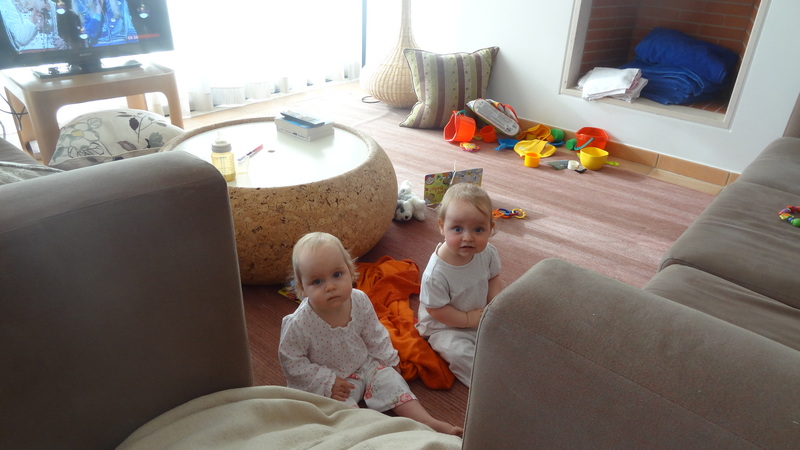 But they made our first holiday with the twins – which I had been mildly anxious about/dreading – such a joy. Really.